June 15th marks Global Wind Day for 2009. 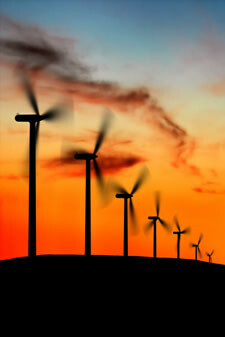 The first Global Wind Day was organized in 2007 by the European Wind Energy Association (EWEA). The Global Wind Energy Council (GWEC) joins forces with the EWEA for this years event. Global Wind Day is designed to bring awareness to the promise and potential of wind energy all over the world. The message is global: wind power works – it tackles climate change, it improves energy dependence on fossil fuels, and it is an intelligent investment. All the events will take place all across 25 countries worldwide. The Global Wind Day will both reach out for and be powered by the people. Global Wind Day includes events in nearly every continent on Earth, a photo contest, and resources, statistics, and wind energy news available on the Global Wind Day website. On June 15th’s Global Wind Day, sponsored by the Global Wind Energy Council and the American Wind Energy Association (AWEA), National Wind underscores the myriad benefits not only of wind energy but specifically of community-based development. Community wind projects have 5 times the local economic impact and 3.4 times the impact on local job creation of traditional, corporate wind farm developments (Kildegaard and Myers-Kuykindall, University of Minnesota-Morris – pdf). Under National Wind’s model, a 150 megawatt utility-scale, community-owned wind farm can generate nearly 124 million dollars more for a community over its life period than a traditional project would. National Wind is proving that a wind farm’s business structure matters. With 13 families of community wind projects, totaling about 4,000 megawatts of wind energy in development or operation across the Midwest and Plains States, demand for National Wind’s community-based development model is in no short supply. National Wind’s community model fits well with Global Wind Day’s mission to encourage worldwide support of wind energy as a near-term job creator, economic development agent, and climate change solution. The American Wind Energy Association and many other groups are lobbying for a progressive national Renewable Electricity Standard (RES), requiring utilities to purchase 25% of their electricity from renewable sources by 2025. Such a standard could prompt the creation of nearly new 300,000 jobs, $13.5 billion in local income to farmers and ranchers, $11.4 billion in local tax revenue, $64.3 billion in savings on electricity and natural gas bills, and a 2 percent reduction in power plant global warming pollution, taking nearly 45.3 million cars off the road, according to the Union of Concerned Scientists. To learn more, visit PowerofWind or GlobalWindDayUSA. And remember, all of the benefits of wind development and more can be achieved by focusing on community wind as the industry grows.